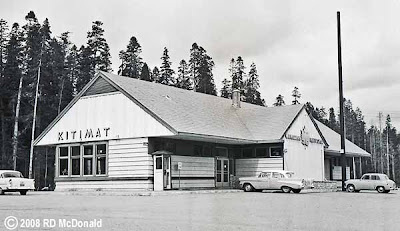 Canadian National 5000, Prince Rupert, 1958. 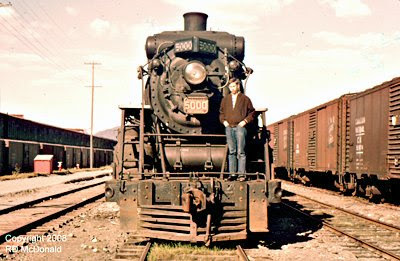 When I look at this photo, I wonder “Why oh why did I not take a screwdriver to the locomotive plate beside me?" Two reasons. 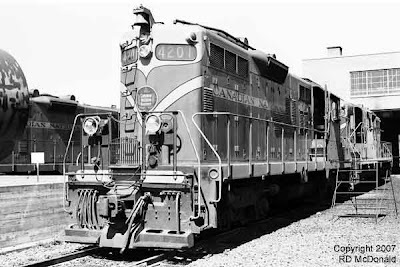 1st of all at age 14, and a newbie ferroequinologist, I had no idea about its importance. 2nd, and most telling, my Dad took this photo of me, and he would have never allowed me to begin a lifetime of thievery! Which leads me to a lapse, a few years later, when I grabbed the builder’s plate off Alaska Railroad SW1 1203. She was sitting on death row at General Metals in Tacoma. My rational? If I didn’t grab it, someone else would. What would you have done? And “No!” I didn’t get the bell! 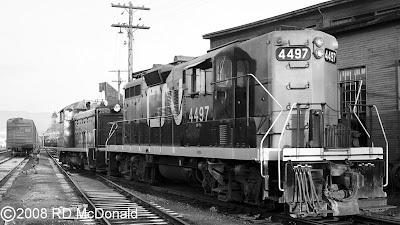 Not often noticed by rail fans, not only locomotives had builders plates, but boxcars often had identification plates, such as this one on Northern Pacific 7408, taken in Prince Rupert on April 8th, 1959, on Tri-X film at f.16, 1/300th second. 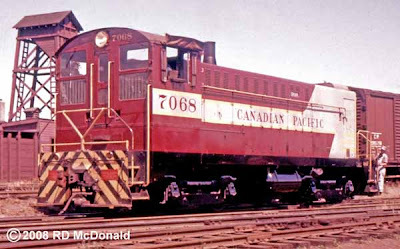 Talk about your “tax shelters!” A real estate company owning boxcars? 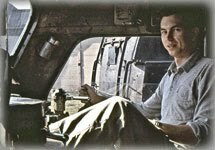 There is a lot more to this tax shelter – I remember an investment broker offering my wife and I a couple of boxcars, but I cannot remember how the scam worked. Perhaps if you know about such a plan, you can add it to the “Comments” section at the end of this article. 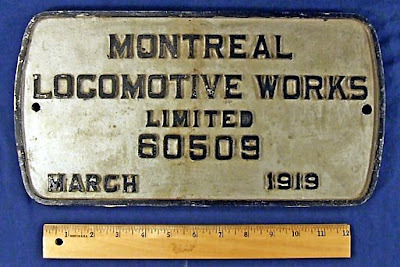 I recently sold the boiler plate from CNR 7358 on eBay. The plate was given to me by a old friend of the family, who was Road Forman of Engines in Victoria. Whilst shooting at Argo Yard in Seattle, I got this plate shot from UP 513. The temtation was there, but also two employees just behind me, who were alerted when I zerod in on the plate! There is a lot more to the simple builders plate than meets the eye. 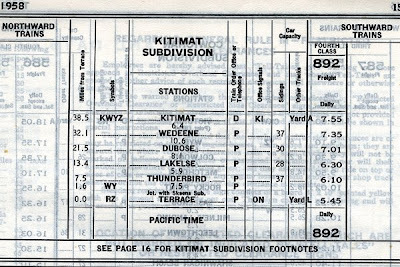 Here is a very interesting dissertation, which discusses other types of plates, often overlooked by rail fans. 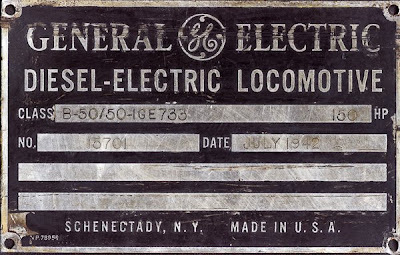 Finally, I also own this plate from a GE locomotive. But I cannot remember where I got it, and what locomotive it belongs to. Any help from my readers? 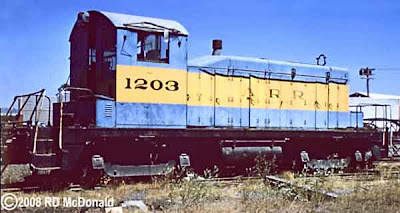 Railroad Stuff: Alaska Railroad 1203, nee US Army 7001, built as an SW-1, 600 hp, by Electro Motive Division, La Grange, March 11, 1942, serial number 1990.